Elizabeth (Tina) Endicott is a professor emerita of history at Middlebury College. This is her fourth book on Mongolia. Professor Endicott has visited Mongolia fourteen times spanning the years from 1978 to 2017. 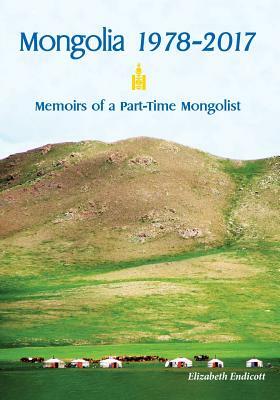 This memoir reflects her appreciation of Mongolian culture, history, and way of life. The photographs in this volume also reflect the many changes that modern Mongolia has undergone over recent decades. Elizabeth (Tina) Endicott first visited Mongolia in 1978 and ever since has documented the Mongolian way of life through photographs, books, and essays. Her first book, Mongolian Rule in China (Harvard University Press, 1989), examined how a thirteenth-century nomadic people established and ruled an empire in China. Her more recent research has centered on twentieth-century Russo-Mongolian trade relations and modern day land use in Mongolia. When not hiking the hills of Mongolia, Tina enjoys hiking the Vermont countryside.